A sunny day, late in the summer and spent in dappled woods. Fall is around the corner, but the heat of that summer’s day is matched by the brightness of the sun. Jour Ensoleillé (“Sunny Day”) is a floral chypre perfume from the beloved, Indie, artisanal line, Sonoma Scent Studio (or “SSS”), which seeks to encapsulate the feel of that summer’s day in the woods. 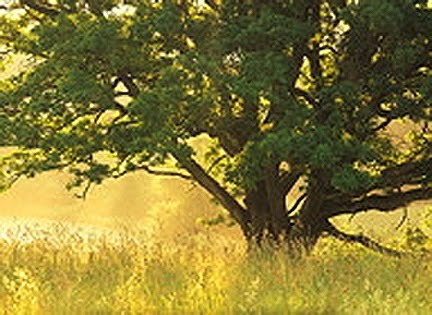 The image associated with Jour Ensoleillé from SSS. Orange blossom, neroli, tuberose, jasmine, beeswax absolute, labdanum absolute , myrrh, sandalwood, ambergris, vetiver, green leaves, oakmoss absolute. Jour Ensoleillé opens on my skin with strongly animalic orange blossoms, drenched and coated with honey. It is sweet, but also a little bit salty, with a musky, honeyed labdanum that doesn’t feel even remotely leathery or goaty. There is a strong mossy element that is also intertwined with the honeyed orange blossoms. It is neither the brightly green, fresh kind of moss, nor the completely dusty, pungent, arid, grey sort that sometimes feels almost more like lichen. Instead, it is somewhere in-between. When combined with the subtle touch of green leaves, the overall impression is of a very sunlit spectrum of green. 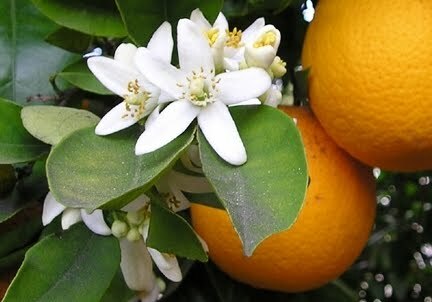 The real star, however, is the heavily honeyed orange blossom which is just faintly tinged by a little of the bitterness of neroli. Actually, it feels a little more like petitgrain with its slightly twiggy, woody facets. Together, the notes swirl together to create a glowing, orange blossom with deeper, musky, almost salty qualities atop a bed of bright and dark green. All around, dancing up to the orange floral notes, are powerful white flowers: heady tuberose and, perhaps more significantly, lush jasmine. They never feel sour, plastic-y or over-ripe; instead, they are very warm, bright, and lush. 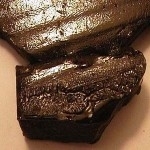 But they are also incredibly potent, and far from feeling dewy or fresh. They are indolic flowers in full bloom, and just a little droopy from the strength of the summer’s midday sun. Underlying the flowers is a subtle woodsy note that is hard to pinpoint. It feels almost amorphous and abstract; it’s never dark or heavy, but it’s not like white woods, either. It’s also nothing like real sandalwood with its spicy, opulent heart. Whatever kind of sandalwood is used here, it’s not from Mysore and, honestly, is not really detectable at this stage in the perfume. I can’t figure out the wood note, but whatever it is and wherever it comes from, it does feel creamy and adds a subtle depth to the floral notes. Honestly, the most intriguing part of Jour Ensoleillé’s opening is that animalic note. It feels nothing like usual labdanum (or even labdanum absolute) which can have quite a masculine, nutty, occasionally goaty and leathery feel. Here, it is deeply honeyed and even the musk seems different. It’s never skanky, dirty, raunchy or a little bit intimate in nature. Perhaps the reason is that both the musk — and the labdanum that triggers it — are deeply intertwined with the heavy, lush florals. The overall result is a floral labdanum which is quite unusual. Even more unusual is the concomitant effect of the labdanum on the orange blossoms. They have a smoky, musky sweetness that feels both opulent and incredibly sensuous (though never sexual or intimate). The way they are drenched with honey and accompanied by heady, narcotically strong jasmine (and, to a lesser extent, tuberose) makes them feel a little feral, like a giant tiger that has been set loose. Granted, it is a tiger that is lazily and languidly stretched out in the sun, purring as it flexes its huge paws, but it is still quite a feral, feline take on orange blossoms. I don’t think I’ve smelled anything like it. I tested Jour Ensoleillé twice, and my reaction to those powerful, incredibly potent, opening stage differed quite a bit. The first time, I was quite bewitched. I thought the combination of the jasmine-tuberose twins with that dominant, glowing orb of an orange blossom, the unusual muskiness, and the honeyed, subtly smoky labdanum was utterly fascinating. While the perfume is supposed to evoke a summer’s day in the woods, it did absolutely no such thing for me during that first test. Instead, I envisioned the Sultan’s favorite odalisque, emerging from her morning bath, to spray Jour Ensoleillé all over her oiled, naked body, before she dressed to spend the day in the harem’s private, enclosed, secret garden, where she would lounge in the sun and smell the heady, white jasmine surrounding her. The second time, however, using just a dab or two more in quantity, I found the smoky, musky, animalic white flowers to be too, too much. Coming from someone with my tastes — and who finds scents like Fracas to be child’s play without any troublesome extremeness or indolic negatives — that says quite a lot! I no longer saw the Sultan’s favorite concubine, sensuously purring out in the sun, nor that languid tiger. Jour Ensoleillé no longer felt quite so much like a glowing, jeweled orb above a lush base of dappled green, both mossy and leafy. Instead, the perfume seemed a little sharp, completely excessive, slightly verging on the territory of “cloying,” and far too indolic. The jasmine even reeked of mothballs — which almost never happens to me — and it stayed that way for a number of hours. Lastly, that honeyed note felt clangy and metallic. As a whole, I felt almost suffocated by heaviness, thickness, honey, musk, and over-ripe, blown florals. And I only used the dabbing equivalent of two medium sprays! Clearly, this is a perfume with ferocious potency in its early stage, and one which requires a very light hand to prevent it from turning unpleasant. The rest of the perfume’s development was the same in both instances. After the two-hour mark, Jour Ensoleillé became a primarily orange blossom and jasmine duet atop a base of oakmoss infused with amber. It feels very much like a mossily green patchouli element is there, too, to help with that chypre base. And, as always, there is always that constant undertone of smoky honey and amber, thanks to the myrrh and labdanum. A quiet woodiness lurks underneath, but it’s very muted. Jour Ensoleillé is also, at this point, a skin scent on me. That potent, ferocious start softened with every moment until, exactly two hours in on both occasions, it clung right on top of the skin. It’s certainly strong whilst there, and if you bring your arm to your nose you can detect it, but the projection is minute, at best. Four hours in, Jour Ensoleillé starts to feel a little abstract. The fragrance seems, primarily, like a well-blended, harmonious, but generalized, white floral fragrance atop light dashes of sweet oakmoss and honeyed amber. At times, the perfume throws off more noticeable, individual notes. Jasmine takes the lead from the orange blossoms, becoming significantly more pronounced, though the orange blossoms are still detectable. The tuberose which always lurked as a very distant third on my skin seems gone almost entirely. In its place is the start of the beeswax element, along with some soapiness. Jour Ensoleillé remains that way for hours in a generally linear line, becoming increasingly abstract, muted and soapy, until it finally dries down as a soft musk with florals and beeswax. All in all, Jour Ensoleillé had great longevity on my perfume consuming skin. To be precise, it lasted just over 9.5 hours during the first test, and 10.75 with the slightly larger amount during the second test. [U]pon first whiff,Jour Ensoleille touched a raw visceral nerve within my psyche in such a way that has never been matched by any other perfume. It was simultaneously euphoric and meditative, calming and exciting, gorgeously complex and extraordinarily simple in its exquisite beauty. It was the perfume I turned to time and time again just to whiff straight out of the bottle and it was as if I was smelling it for the very first time. [W]ere I ever to have the misfortune of being stranded on a deserted island Jour Ensoleille is the only perfume I would need in my possession if I were forced to choose just one. After 42 years of perfume wearing and 400 or so empty bottles later, I am finally home. While the herbaceous, woodsy base lends a contemplative air to the perfume and keeps the white florals from running riot in their usual erotically-charged way, this perfume is still every bit as sensual as it is thoughtful in spirit. Orange blossom and jasmine do indeed express their indolic nature within Jour Ensoleillé, adding to the lushness of the scent—completing it in a sense—and entreating the wearer to dream not only of afternoon sunlight, but also perhaps of “afternoon delight”: a romantic tryst leisurely taken or perhaps stolen, like kisses, from the golden middle part of the day. Absolute perfection! I don’t normally gravitate toward chypres, but with all of the beautiful and balanced floral notes, the combination is intoxicating. The opening is bright and citrusy – a bit like Lauder’s Azuree. Then the white flowers are ushered in. They’re not whiny, thin, and polite-typical. They’re high-quality, and well blended. This is no tuberose monster. 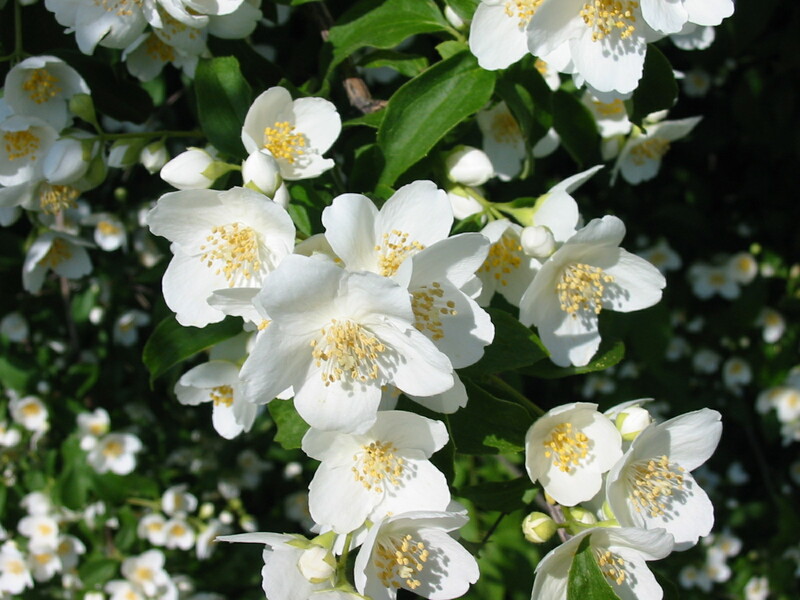 The white flowers mellow, the citrus mellows, and the creamy combination sets the stage for the chypric base. The result is a creamy, sophisticated, white-floral chypre. I get numerous compliments every time I wear it. this is the third fragrance I’ve tried from this line, and I feel comfortable saying these wear like Caron Urn fragrances on me. They open rather harsh and unpleasant, and you have to wait a good 40 min before you are rewarded with a long lasting, beautifully harmonized, gorgeous composition. I think she has a definite point, as Jour Ensoleillé’s opening is quite potent and heavy, indeed. One commentator on Fragrantica, who really liked the scent, actually wrote that her stomach “curdled” at the opening minutes. So, again, I caution, use a light hand when applying this fragrance, or you will experience something like what I went through on my 2nd test run. While I hope the other reviews are helpful to you, I find them interesting, in part, because I noticed how the commentators rarely talk about the animalic, sweet, strong musk. They certainly didn’t seem to experience as much as I did. Also, on my skin, the labdanum’s honeyed undercurrents were as strong as the oakmoss (with its occasionally green-patchouli feel), so Jour Ensoleillé felt more ambered in its foundation than a pure chypre. Finally, some commentators, on both Fragrantica and on MakeupAlley, seemed to get significantly more tuberose than I ever did. But one thing that most people seem to agree is this: the very lush, indolic, sensuous feel of the perfume. It’s always tricky to write about a perfume that one of your good blogosphere friends adores with a passion. So, I was rather relieved when I liked parts of Jour Ensoleillé, at least the first time around. As most of my regular readers know, I can be quite forceful and blunt when I hate something. And I don’t believe in protecting companies just because they are small and artisanal, especially when almost all of the reviews out there are positive. My loyalty is to the readers who expect my honesty, not to the perfumers. So, my honest opinion is that Jour Ensoleillé is a pretty scent, and I can see why it is receives so many rave reviews. It’s an unusual twist on the orange blossom leitmotif, it can feel quite sensuous as well as bright, and it’s very feminine. Its opening is quite glowing, like a jeweled orb, and it becomes softer with time, though also a bit flat, linear and soapy on my skin. Ultimately, it’s not for me, but it has made me extremely interested in trying out the rest of the fragrances from Sonoma Scent Studio. All those raves about Laurie Erickson’s talent, creativity, and originality are clearly rooted in fact, not hype. I’m genuinely intrigued. So, if Jour Ensoleillé’s notes sound interesting to you — and if you can take indolic white flowers — then I would definitely encourage you to give the perfume a sniff. 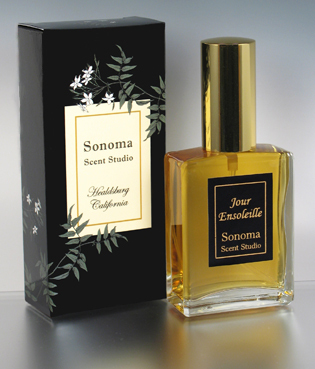 Cost & Availability: Jour Ensoleillé is essentially pure parfum extract in concentration, and is exclusive to Sonoma Scent Studio. It is available via the company’s website in a variety of different sizes and prices: a 34 ml bottle costs $65; a $15 ml bottle costs $40; a 5 ml travel spray costs $16; a 3 ml sample spray costs $10.50; and a 1 ml dabber vial costs $3.50. SSS also offers Gift Sampler Sets in a black gift box: 10 carded samples of your choice for $40, or 12 perfume samples of your choice for $65. (The company is temporarily out of those but they will be in shortly.) The samples look like 1 ml vials. The company takes credit cards or PayPal, but is forced to impose California sales tax for California customers. International Shipping: Due to postal regulations on alcohol-based perfumes, SSS is unable to ship directly to overseas customers except by the very expensive option of FedEx or UPS. However, the FAQ page provides some more affordable options in terms of freight forwarders who, in one past case, shipped even to Saudi Arabia. The full details, taken from the website, are as follows: “If you want to purchase directly from me, you can use a freight forwarding service that gives you a USA address; I ship to the freight forwarder in the USA and they collect and forward all your packages to you, or they can send them one by one. By consolidating your packages from several USA merchants, you can save on shipping. Most freight forwarders will not ship alcohol-based perfume by regular mail, but some of them have other methods of shipment to offer, depending on your country. One freight forwarder I have worked with on a shipment to Saudi Arabia can possibly help many of you. His name is Jim Rojas and he has an ebay shipping store. His shipping costs are very reasonable (though you may have duties depending on your country). You can get a quote from him if you give him the size and weight of the package, and I can give that information to you if you tell me what SSS items you would like to buy. Larger freight forwarding services also exist, like www.myus.com. Another option is for me to ship to a friend or family member here in the USA who can then get the package to you. And a third option is to buy from one of my retailers who ships to your country. Indie Scents in the USA does some international shipping and carries my boutique line.” Please note, however, Jour Ensoleillé is part of the Exclusives line and is not carried by Indie Scents. Samples: Samples are available directly from SSS at the links listed above. It is also available from Surrender to Chance (which ships overseas via First Class Mail for $12.95 for all orders up to $150) in various sizes, starting at $4.99 for a 1 ml vial, $21.61 for a 5 ml spray, and going up to $64.87 for a large 15 ml decant.